We’re getting close! Only 10 days before Q and Tess’s final installment in the Monsters in the Dark Trilogy. I’ll be so sad to see them go, but I hope you guys enjoy their conclusion. 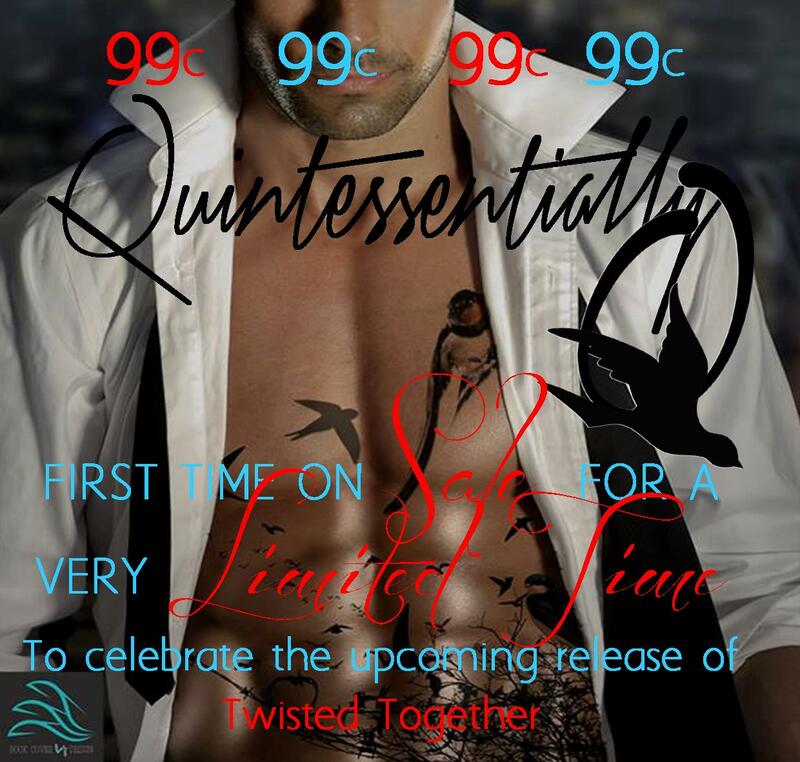 To celebrate the upcoming release of Twisted Together, I’ve put Quintessentially Q on sale for the first time ever for a VERY limited time. 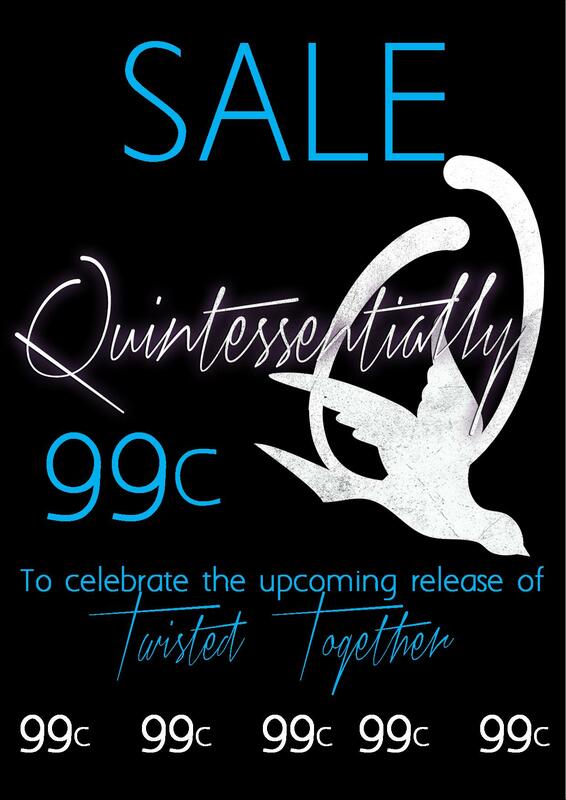 This is a strictly unique sale and I doubt I’ll be having another one once this is over—so if you don’t have a copy, or you know people who want to read it but haven’t taken the plunge, gift, buy, stock up, because it will be changing back to $3.99 very soon. Breathtaking, beautiful, haunting, and mind numbingly passionate. This book is all of that and so much more! The strength, passion and devotion Tess and Q share for one another is beautiful. The depths either will go to for one another, truly haunting. This is a must read!!!! 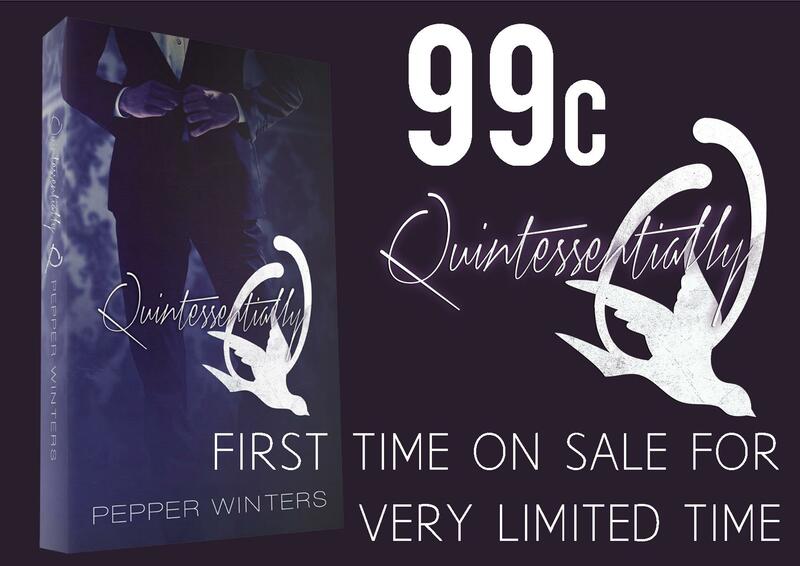 Pepper Winters takes you on an emotional roller coaster, with twists and turns you don’t see coming! Really…. 5 stars is not even remotely enough!!!! I am sitting here trying to work out how to start this review. I finished reading QQ about six hours ago and I have thought about it ever since. You see, I want to write a review fitting of the best book I have ever read; I need to find the right words to convey to you just how amazing this book is. So, here goes. I read a lot of books. Some are good, some are bad and some are added to my favourite list. Due to my capacity as a book reviewer for a blog, I often have to start one as soon as I finish one. So, I read them, love them and move on. I am not the kind of reader to gush about books or swoon too much over characters. Sure, I love them but I don’t go on and on about them like some readers do. However, every now and then a writer and a book come along and knock me for six. Usually these books are magnificent in their subtlety. The writer’s ability to convey character, emotion, trauma and growth is such that I find the story sneaks up on me and takes a hold of my heart gradually as the story unfolds. At some point in the story it hits me; it slams into my soul, grips me and doesn’t let go. Pepper Winters is such a writer and this book had me in its grips from the very start. 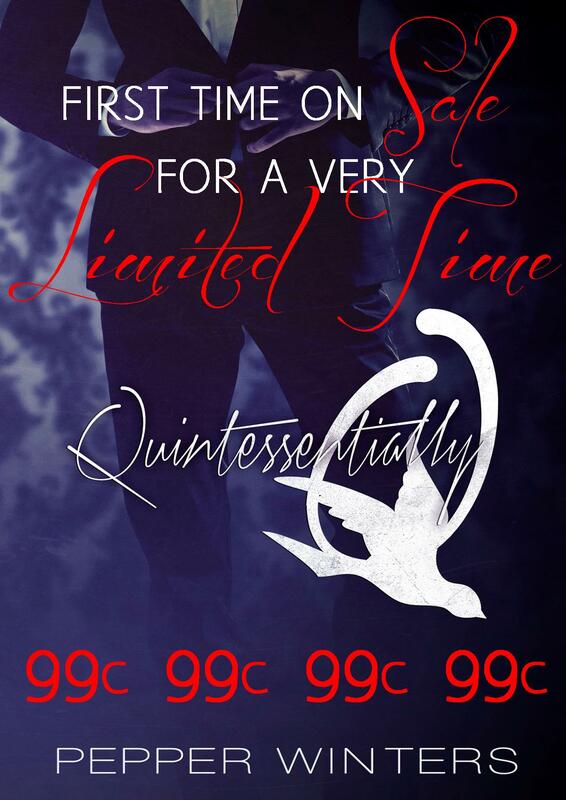 QQ is the follow up book to Tears of Tess and you do need to have read that one before you read this one. I was in awe of Pepper’s writing ability after that one. QQ has just solidified that for me. 5+++++ Startling, Explosive, Angsty Stars! Two Monsters Who Can Only Survive Outside the Dark If They Are One Inside the Light! I’ll never be the same again! I dont even know where to start with this review. These characters… this story… absolutely flayed me. It cut me open, splayed me out and drained me of everything. I know that sounds dramatic but thats how I felt when I hit that last page. I went through so many emotions… so many angsty, darn emotions while I lived through the confusion, the happiness, the horror, the sorrow and then absolute awe and amazement while reading this book. And then finally, the stunning, powerful ending that left me in complete wonderment as the controlling monster did the unthinkable for love.